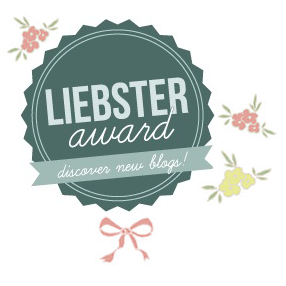 So what is the Liebster Award it's a scheme where small bloggers with less than 200 Bloglovin' followers are given the award by other bloggers who love them, which helps with new readers, friendships and opportunities. I was really surprised and pleased to see that I had been nominated as I only started my blog back towards the end of January and I love the fact that someone enjoys reading my post as I do try to put my best into it each time. 2.) you must then pick 11 nominees yourself and tell them they have been nominated but not the person who nominated you. 3.) you must then put forward 11 questions of your own that you want your nominees to answer. These are my answers to Emma's questions. It's a place where I can air my own opinions of things and also share great ideas with fellow bloggers. 2. Tell me something Unique about You! I am Great Grand-daughter to Edith Haisman (Nee Brown) Titanic Survivor and appeared on ITV's Words of Titanic in 2012 reading a passage from her diary. 4. What can you Not Leave the House Without? That would have to be my iPod music is everything to me. 6. Why did you want to start a Blog? It was a new challenge and I always like a challenge. it probably sounds weird but to live each day as if it's your last. 8. What is on your 2014 to-do List? To expand my modelling career. 9. What is your favourite piece of Clothing? My prom dress, it has that old Hollywood Glamour look to it when it's on with the fur stole that I wear with it. 10. Which is your go-to Make-Up Brand? Has to be, make a coffee. 1.) Tell me Something unique about you? 3.) If you could go back to any era what would in be? 4.) Are you a Heels or Flats person? 5.) What can't you leave the house without? 6.) Is there anything you are looking to achieve in 2014? 7.) If you could live anywhere in the world where would it be? 8.) What is your favourite make-up brand? 9.) What is your favourite time of year? 10.) What is the car of your dreams? 11.) What is your favourite piece of clothing? Thank you again, Emma, for nominating me, I hope you enjoyed reading this and that my nominees will enjoy writing their posts as well.